HAPPY NEW YEAR! WELCOME BACK TO THE CAFE @ CORNELL TECH. COME CHECK OUT OUR NEW HOT ENTREE BUFFET AS WELL AS OUR COLD SALAD BAR. THEY BOTH RUN AT $.57/OZ. WE HAVE ALSO REVAMPED OUR FLATBREAD PIZZA STATION. HOPE TO SEE EVERYONE BACK SOON! 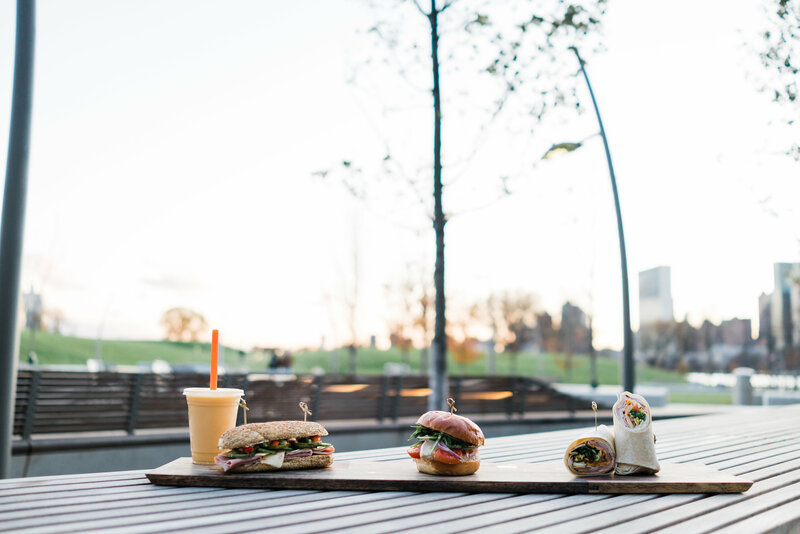 Operated by Constellation Culinary Group, The Café @ Cornell Tech brings to Roosevelt Island tasty and hearty options for breakfast, lunch and dinner. This bright and sunny café offers a chance to start the day off with a strong cup of Parliament Coffee or Espresso. Breakfast options range from scones and muffins to eggs and pancakes. For lunch, variety is the driving force with seven separate food stations: sandwiches, salads, personal pizzas/flatbreads, soups and hot entrees. The Café is proud to serve offerings from Cornell Dairy in case you want to grab a pint of their ice cream for the road. Open to the public with free wifi.